Leaves aren’t the only things that might be clogging your gutters this time of year. If you live in an area with lots of wildlife, you may find the remnants of a few birds’ nests blocking the flow of water through your gutters as well. The good news is, there are a few simple, humane tactics you can employ to dissuade birds from nesting in your gutters. Birds will be far less likely to take up residence in your gutters if they see a predator lurking nearby. 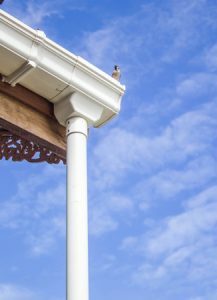 Placing an owl decoy or an inflatable snake in a conspicuous place can give birds enough of a scare to make them thing twice about nesting in your gutters. The only downside to this strategy is that the birds may eventually realize that the predators are fake. Ultrasonic repellents are small electronic devices that emit high-frequency sounds to keep birds, mice and other common pests at bay. Although the high-frequency sounds they emit are unpleasant for small animals, they are undetectable to the human ear. If you have pets that spend time in your yard, however, you may not want to expose them to the sound of an ultrasonic repellent. Perhaps the most straightforward and effective way to keep birds out of your gutters is to install gutter guards. A good set of gutter guards will not only prevent birds from nesting in your gutters, but also prevent leaves and twigs from falling into them as well. This way, you won’t have to clean debris out of your gutters nearly as often as you do now. To learn more about the high-quality gutter guards we offer at Bell Seamless Gutters, feel free to give us a call or contact us online today! Nothing will ruin your summer backyard barbecue quite like a swarm of pesky mosquitoes. The bites from these insects are not only unpleasant; they can pose significant threats to your health as well. This is because mosquitoes can carry a number of infectious viral diseases like malaria, West Nile virus, meningitis and Zika. 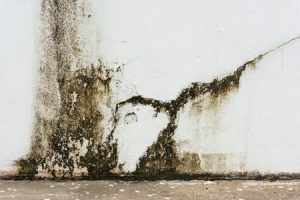 When gutters aren’t properly cleaned and maintained, they can become breeding grounds for mosquitoes this time of year. Today we’ll look at a few ways to keep your gutters clean and mosquito-free all summer long. Clean out your gutters at least once early in the season. Standing water and decaying leaves in your gutters are sure to attract mosquitoes in the summer. Therefore, it’s always a good idea to clean your gutters thoroughly at least once before peak mosquito season. Remove any accumulated debris that might cause clogs and spray the inside of the gutters with a garden hose to make sure water can flow freely through the downspouts. Inspect your gutters periodically for signs of clogs. 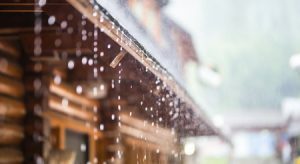 If you live in a densely-wooded area, your gutters may still be prone to clogging even if you cleaned them earlier in the summer. Be sure to inspect your gutters once every couple of weeks for signs of clogs and clear out any debris that might cause water to pool at the bottom of the gutters. 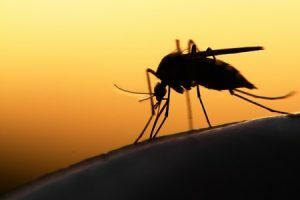 If mosquitoes have been a problem for you in the past, you may also want to consider installing gutter guards on your home. These gutter accessories are designed to keep leaves, sticks and other debris from falling into your gutters, thereby preventing the clogs and moisture buildup that attract mosquitoes. At Bell Seamless Gutters, we offer Leaftech gutter guards on all our gutter installations. These handy add-ons are an ideal solution for homeowners who have struggled to keep mosquitoes out of their gutters in the past. To learn more, give us a call at our toll-free number or contact us online today. New Jersey Home Values are Rising. Is Yours Ready to Sell? 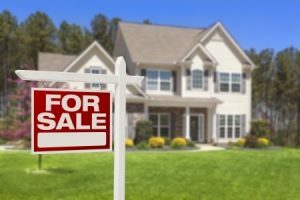 Demand for homes in New Jersey is outpacing the current inventory, causing home prices to rise steadily across the state. The medium home value in New Jersey has grown by more than 9 percent over the past year, according to Zillow, and it’s expected to rise another 7 percent in the next year. Demand has been particularly strong in the communities of Central New Jersey, where competitively-priced homes are attracting bidding wars from eager buyers. These market conditions mean that now is a great time to think about selling a home in Central Jersey. A number of real estate analysts have even drawn comparisons between this summer’s housing market and the last market peak in 2006. Homes are selling fast, and they’re selling for prices that were practically unheard of just a few years ago. If you’re preparing to put your home on the market this season, it’s good idea to take care of any maintenance items you may have neglected in years past. By investing in these upgrades and repairs now, you can get the best possible price for home when it comes time to sell. At Bell Seamless Gutters, we can help get your home ready to sell by repairing and replacing outdated gutter systems with modern seamless gutters. These custom-designed gutters are not only aesthetically pleasing, but also durable and easy to maintain. We also include gutter guards with all of our gutter installations, which prevent clogs by preventing leaves, twigs and other debris from accumulating in your gutters. To learn more about our gutter installation and repair services, give us a call at our toll-free number or contact us online today!